Siemens Healthineers and medical technology firm HeartFlow have partnered to develop a solution that has potential to reduce cardiac care costs. The companies have signed a global collaboration to develop integrated, noninvasive care solutions for enhanced management of coronary artery disease (CAD) patients. 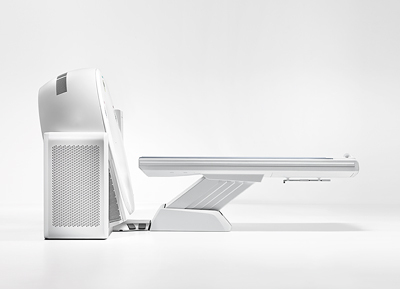 The partnership’s joint solution pairs Siemens Healthineers’ CT scanners with the HeartFlow FFRct Analysis. Heartflow FFRct Analysis non-invasive solution that creates personalized 3D models of coronary arteries and analyzes blood flow. The model can help physicians identify the best course of treatment for patients, and clinical data shows it could help avoid unnecessary angiograms. Last month, the UK’s National Institute for Health and Care Excellence (NICE) issued guidance for use of the HeartFlow FFRct Analysis to help determine the cause of stable chest pain in patients. The collaboration’s initial focus is only in the US at present, but the companies plan to expand it to other countries in the future. Siemens Healthineers computed tomography head André Hartung said: "It is a fact that the treatment planning for coronary artery disease patients can be improved via quantitative data out of FFR measurements. Siemens Healthineers is the separately managed healthcare business of Siemens. It focuses on diagnostic and therapeutic imaging and in laboratory diagnostics and molecular medicine. Image: Siemens’ new 16-slice CT scanner Somatom ScopePhoto: courtesy of Siemens AG.